A racing team is claiming that it has managed to break the lap record in its category in the ever-demanding Nurburgring circuit in 2016 while driving a road-going Volvo S60 Polestar, but it elected to keep things in secrecy – until now. Cyan Racing -- the official Volvo factory auto racing team based in Gothenburg, Sweden – said that it did break the record for the fastest four-door, road-legal production car in the Green Hell. According to the account, after the FIA World Touring Car Championship round in the Nordschleife in Germany, Cyan Ryan opted to stay behind and conduct a so-called secret test involving a road-going Volvo S60 Polestar. 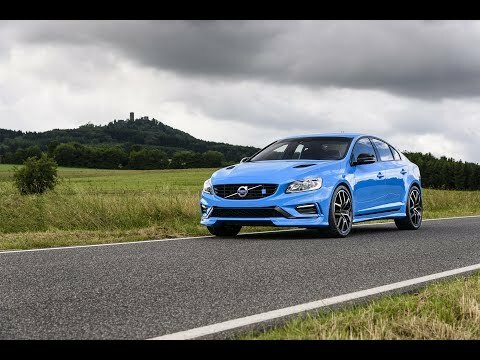 This secret test was conducted by Cyan Racing in order to harvest more know-how about the Volvo S60 Polestar as well as to bring more improvements into the car. Taking advantage of their motorsport expertise, Cyan Racing went on to boost the performance levels of the Volvo S60 Polestar, thereby making it more potent on the road. With some of the tweaks done, Cyan Racing thought to have a try at the Nurburgring circuit, and maybe, with the increased performance of the Volvo S60 Polestar, they could break the Green Hell’s record for the fastest production four-door car. Following a drive, the team realized that they broke the record by clocking 7 minutes and 51 seconds. However, Cyan Racing opted not to publicize their success in setting a new record. This record, however, was broken in September 2016, when an Alfa Romeo Giulia Quadrifoglio completed a lap in the Nurburgring circuit in just 7 minutes and 32 seconds, or around 19 seconds faster than the Volvo S60 Polestar. Since then, the Alfa Romeo Giulia Quadrifoglio has been recognized as the fastest four-door, street-legal production car in the famed German road circuit. While the Porsche Panamera Turbo (7 minutes and 38 seconds) and the Honda Civic Type R (7 minutes and 43 seconds) are faster than the Volvo S60 Polestar, they technically are five-door production cars. Nonetheless, the achievement gained by the Volvo S60 Polestar was pretty impressive, considering that it is pretty much underpowered and under-spec compared to an Alfa Romeo Giulia Quadrifoglio. For instance, the 2016 iteration of the Volvo S60 Polestar is powered by a supercharged and turbocharged four-cylinder gasoline engine that delivers 367 hp of power output. On the other hand, the Alfa Romeo Giulia Quadrifoglio is powered by a bi-turbo 2.9-liter V6 engine that generates 505 hp of output. Considering these power levels, the Volvo S60 Polestar is definitely on the losing end. As impressive as the feat was, it would be better if Cyan Racing takes another shot at breaking the four-door record set by the Alfa Romeo Giulia Quadrifoglio, as soon as a better-powered Volvo S60 Polestar comes into the scene.